First of all what is a QR Code? 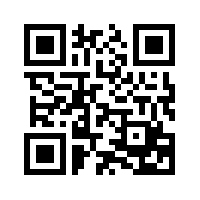 A QR Code (stands for "Quick Response") is a mobile phone readable barcode. In it's simplest sense think "print based hypertext link" - simply encode a URL into the QR Code and then point a mobile phone (or other camera-enabled mobile) at it. If the device has had QR Code decoding software installed on it, it will fire up its browser and go straight to that URL. Time for some action ... below the result of me trying to force my linkedin profile into a QR Code. There is no need to write vital details down. A simple scan captures the desired information. QR Codes can be used to store addresses and URLs that can appear in magazines, on signs, buses, business cards or just about any product that users might need information about. Users must be equipped with a camera phone and the correct reader software that can scan the image of the QR Code. Currently only Smartphone’s are technically equipped to do this. Many users that have mobile phones that have cameras are unable to get QR reading software for their phones.